There are a lot of winemakers who have inspired me in one way or another over the course of my 15-plus years writing about wine. 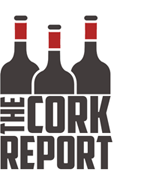 This month’s The Cork Report Tastemaker is one of those winemakers. In fact, Lincoln Peak Vineyard’s owner-winemaker, Chris Granstrom, is probably more responsible than most for this site becoming what it is today. That’s not at all hyperbolic, either. His Marquette was the first example I ever tasted several years ago. I don’t remember the vintage or even when my colleague Todd Trzaskos opened it for me. But it was a Lincoln Peak Marquette that intrigued me and opened my eyes to what the cold-climate Minnesota hybrids could be – that being uniquely delicious. Without that wine, I doubt I’d be tasting and writing about wines regularly from places like Minnesota, Northern Michigan, Wisconsin and North Dakota. Chris isn’t on Instagram. I don’t think he’s on Facebook. 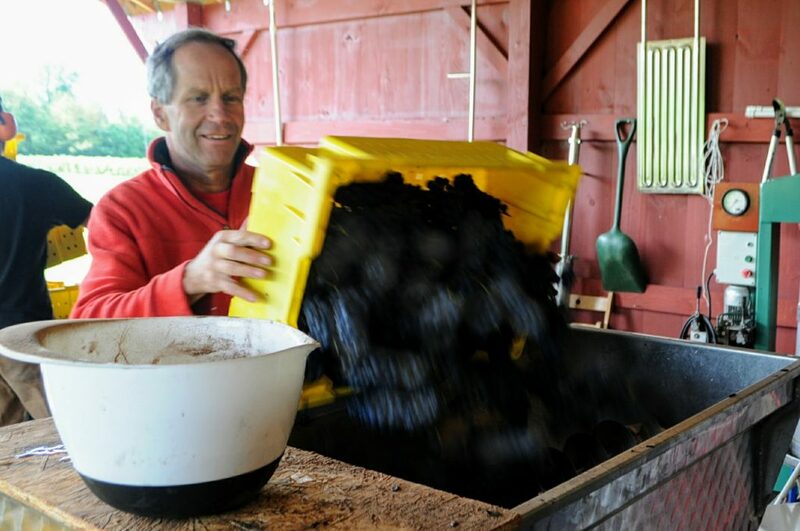 Vermont wine is getting more attention today than it ever has – but Chris doesn’t get enough of that press. He doesn’t chase it. He’s a thoughtful, hard-working fruit farmer at heart who is also making some of the best cold-climate wine in the world. He is absolutely a tastemaker and it is my pleasure to write about him here. Before I Became a Winemaker: We had a grapevine nursery before we started making wine. Before that, we had a strawberry farm here for 24 years. And before that, we had an apple tree nursery. How I Ended Up Where I am Today: After college, when most of my classmates were heading to New York City and Boston and jobs in finance, I started working on a dairy farm. I quickly figured out that I loved farming, but was more of a crop guy than a livestock guy. I worked on vegetable farms and orchards before we – I had gotten married by then – were able to buy 16 acres of good land here in New Haven, where we still are today. We were able to buy adjoining lots over the years to create the farm we have now. What I’m Drinking Right Now: We had a tannat from Bodega Garzon in Uruguay last night. Lovely wine, and a good buy. The First Bottle of Wine I Remember Drinking: The first bottle I can remember buying was for a dinner I cooked for my college girlfriend’s parents. The menu was steak, broccoli, Sara Lee frozen cheesecake, and Gallo Hearty Burgundy. I wanted to impress them, and I was pretty sure that “Hearty” meant that it was better than regular burgundy. I didn’t grow up in a wine-drinking family. My Winemaking Style: I’m not sure I have a “style.” These grapes are all so new, and so different from each other, that I just try to do the best basic winemaking I can and try to be open to learning what kind of wine each variety wants to be. I do try to make wine that is clean. I reject the concept that what were traditionally considered flaws can be re-characterized as special qualities. The Music Playing in the Cellar Right Now: A great singer/songwriter from Louisiana called Andrew Duhon. My Favorite Thing About the Vermont Wine Industry: There is a small group of us that gets together a few times a year to taste each other’s wines (along with some ringers) blind. Tasting blind is the key here; we have to be willing to accept unvarnished opinions. It’s always supportive as well as brutally honest. And we share tips, ideas, suggestions as well as opinions. I think this has helped us to push each other to do better. What I Wish Was Different About Vermont Wine: It would be great if there were more producers who were ready/willing to participate in something like this. On a Random Thursday Evening, You’ll Find Me Drinking: Hmmm, I’d likely give a different answer last month, or next month, but right now I’d say a Wittman Trocken Riesling. My Last Meal on Earth: Probably pancakes, strawberries, and whipped cream, to remember the mid-winter “picnics” my wife and daughters and I had on a blanket in front of our wood stove when the girls were young.